This book shows the many facets of African engagements with the world. It starts from the premise that current global asymmetries ascribing Africa to a marginalized position are the effects of colonial and imperial pasts still lingering on. The decolonization process of the post-war structure which privileges the West in both political and economic terms. While new dependencies emerged, several old bonds were maintained and continue to influence African affairs quite strikingly. It is appropriate, then, to call these continued unequal relations between Africa and the West frankly ‘neo-colonial’. This designation applies all the more as the post-colonial states of Africa inherited a complex legacy of foreign rule – colonial frontiers, colonial languages, colonial infrastructure and authoritarian institutions, as well as the social intricacies and imbalances so characteristic of the ‘colonial situation’. The contributions to this volume look at various aspects of these complex processes from intellectual history perspectives. The topics dealt with are manifold. Contributions deliberately attack key themes, ideas and discourses of an intellectual history of Africa (‘state’, ‘modernity’, ‘development’, ‘dependency’, ‘art’, etc. ), and introduce important engaged public intellectuals from Africa and the African diaspora. What is Africa, and how is she related to the rest of the world? How can she overcome her internal problems and her external dependencies? – These are perennial questions critically tackled by Africans throughout the 20th century. 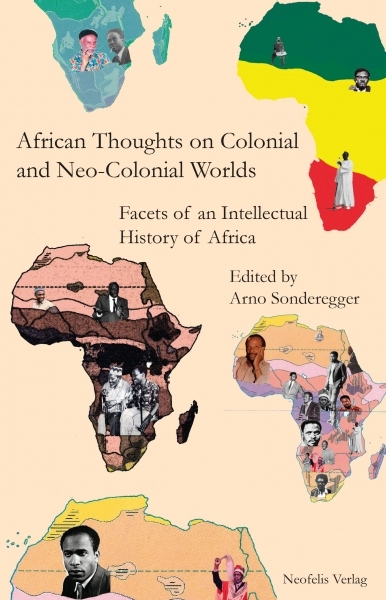 Dealing with various cases looked at from a variety of perspectives, the contributions to this book offer original insights into the intellectual history of Africa. Mit Beiträgen von Anaïs Angelo, Paulina Aroch-Fugellie, Lena Dallywater, Lutz Diegner, Myra Ann Houser, Janine Kläge, Sara Marzagora, Felix Müller, Arno Sonderegger, Ninja Steinbach-Hüther und Joanna Tegnerowicz.